This article is not a review trying to give a mark to the product. It’s just a share about my first impression and real experience. You will see the plus and minus I met as a Cintiq new user. Two different format. XL or XXL ? 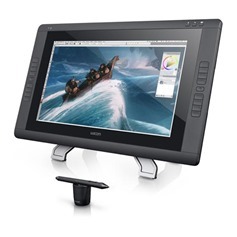 The Cintiq 22HD is the tablet I started to target. Then I saw the 24HD Touch for sale, second hand at Singapore.gumtree.sg with a reasonable price. It was worth considering. 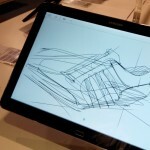 I asked opinion to my friend Adrien Wira, designer at Adidas about which tablet would fit me better. He owns the Cintiq 22HD, saw people using the 24HD and he especially knows the way I sketch (we was classmate for 4 years). He warmly advised me the 22HD as it’s much easier to manoeuvre. You can rotate the screen. The 24HD is awesome, but really big and heavy (40kg) and you can’t rotate it. We concluded that getting the 24HD was like buying a luxury Porsche that would be hard to control. The day after I went to a IT shopping mall to look for trying these tablets. I had to choose between two version of the tablet: a Touch and non Touch. 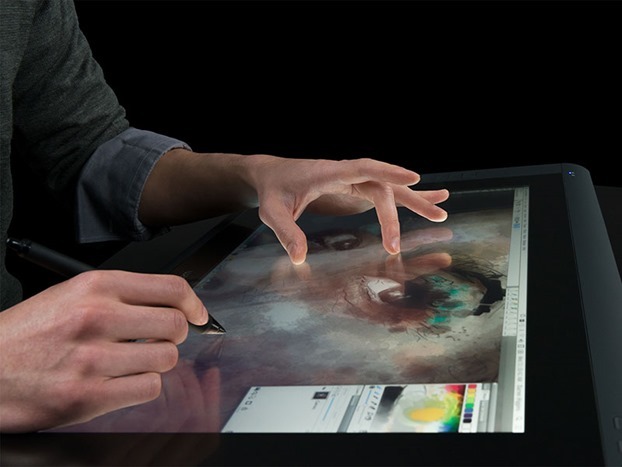 Take note that the Touch version is about 15% more expensive !It makes the Cintiq like a big Ipad. You can Zoom in and out with your fingers, make also a keyboard appears. According to Adrien it is really common to have a conflict between the palm recognition and the pen. It means your palm would accidentally draw on your canvas. Kind of irritating. Why paying more for an option I may end to deactivate? 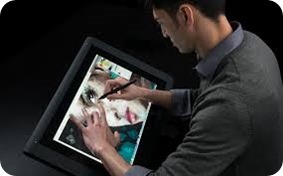 What you see on the picture below (I took it from Wacom official website) is actually impossible. You can’t use the zoom when your pen tip is on the screen. I guess it was also the first day the guy met the Wacom as well. Ahah. The shop gave me an offer. The price of the 22HD Touch EXPO model for cheaper than a NEW 22HD without Touch. Plus, I could bring the tablet immediately (any new Cintiq in Singapore needs to be preorder, there is no stock in any shop). The expo model was out for 2 months in a non crowded shop. It was in a great condition except some finger print on it. So I took the offer and bring back my new 20kg toy at home with ”a banana smile”. The tablet is wider than my shoulders. You rotate it like a truck steering. 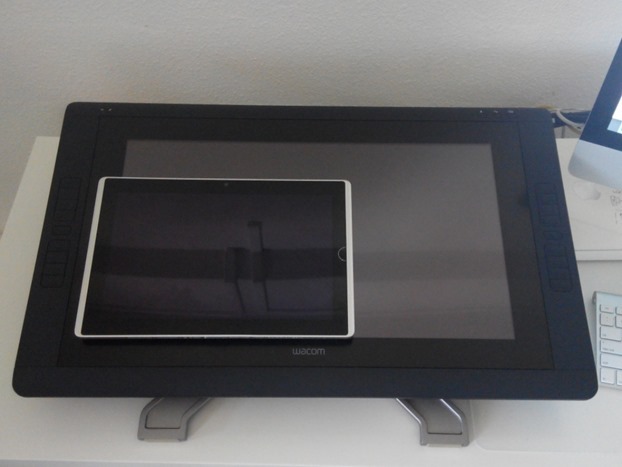 My Asus EP121 vs the new Cintiq22HD. 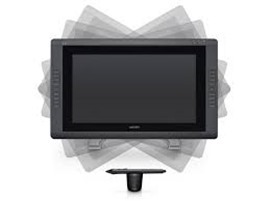 Plan to get a Cintiq ? Plan a big desk. The way each device is oriented when I draw on it. My desk being against the wall, the corner of the tablet was bumping it when I rotated it. So I shifted the desk of 15 cm form the wall. 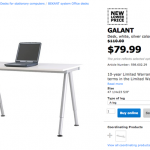 I recommend a deep and wide desk to set up your tablet and your computer. If you need to sketch on paper you can just put the Cintiq back in vertical position. 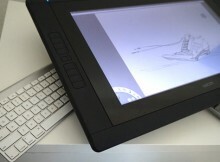 The Cintiq 22HD in vertical position allows you to free some space for sketching on paper (Impossible with Cintiq 24HD). When you plug your tablet, you need to calibrate the pen to the screen. It was really easy, and relevant. The Wacom Companion or my Asus tablet EP 121 tend to have the pointer getting further from the tip when you get near the border of the screen. It was annoying, as you loose in precision. So I kept drawing only in the center. 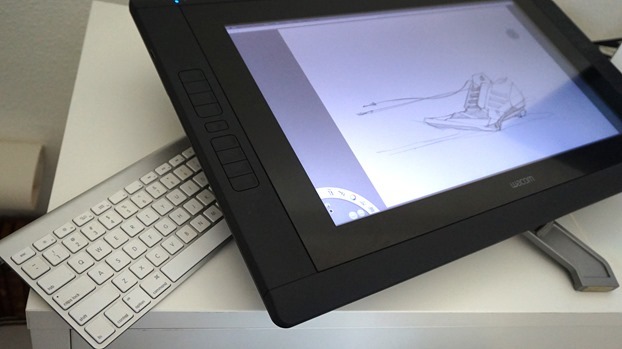 With the Cintiq 22HD, the calibration is perfect, anywhere on the screen. 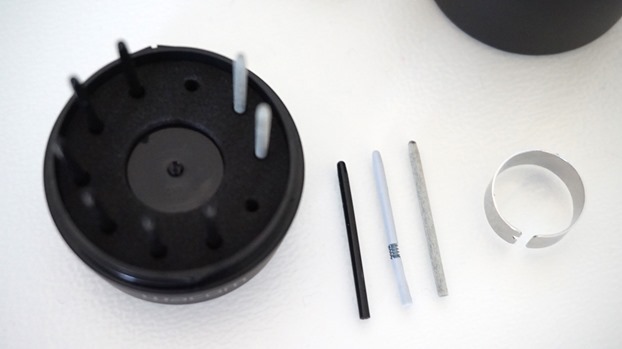 Wacom provides a set of nibs. The felt nibs give a sensation closer to drawing on paper. Being used to Screen tablet, I though I would adapt very fast to the Cintiq. But my first lines was clumsy. It get better after few hours of practice. Why? I tried the tablet in multiple positions. I am not able today to draw with the vertical position. A small inclination bother me. It happens that the 22HD can’t be fully horizontal. I need to practice some more for my arm to adapt to the new angles. I am used to rotate the paper fast when I sketch. My previous tablet is portable so I could rotate the screen easily. Now, I feel more restricted in my movement. I can rotate the screen, but it is now a XL one. To avoid drawing “like a contortionist”, I moved myself on my wheel chair to adjust my body position. Let’s see in the next few weeks how I will adapt better. 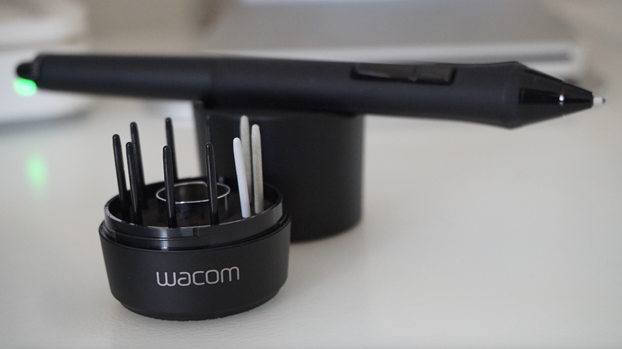 Wacom added some side buttons. You can use them as shortcut for your software. eg. Undo/redo, save.. any functions you need for Photoshop. I though it was a great idea but after testing them for few hours, I have just deactivated the functions. Why ? Because I am so used to the keyboard shortcuts. Plus there is not enough buttons to cover my 12 main shortcuts I use the most. I will slowly try to input some side functions such as the screen capture. Left hand on the wireless keyboard for the shortcuts, right hand for drawing. I feel lucky. Most of the shortcut I use for Photoshop are on the left side of the keyboard. Left side: I use the letters C, V, B, N, S, T, A, Z, F, D, TAB. For the right side I only use 3: I, +, -. I recommend you guys to practice Photoshop and Illustrator with the shortcuts. It won’t be natural at start for sure ! But in my opinion, it’s worth it. You will save a lot of time. 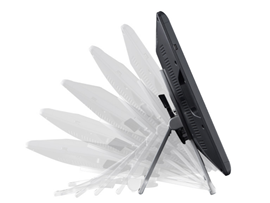 The tablet can detect the presence of the pen few cm from the screen. When detected, the touch option is automatically deactivated. It is quite smart. However, I felt that it is not as reactive as I wish when I want to zoom in or out. It is not as good as Ipad. I feel kind of excited having a such bigger digital workspace. Today is Day 1, I notice that I have lost in fluidity, flexibility of movement and speed. It is not as intuitive as I though at start. I am going to continue to practice more at it, and get familiar to this wonderful machine. If you already a Cintiq user, please let me know about your experience. 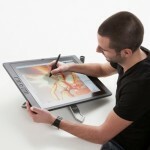 1.Recently Im wonderring that if it is worth to buy the Wacom DTHW1620H Mobile Studio Pro 16″ it that great? 2.and i saw one of them sold on Amazon. why this one so much cheaper than others. Dear Chou-Tac~~~ can u give me some suggestion? I did not had the chance to try it yet. However from what I saw from artist reviews on Youtube, it seams solving most of the big issues its predecessors have (Wacom Companion). I did tried to sketch on the Wacom Companion, and it was really decceiving. Anyway, this version seams to be great, I would highly recommend you to make a try ! Make sure the pen is not jittering, no lag when you use a big brush on Photoshop, that your nib and cursor are matching with precision, and there is no big gap appearing when you nib goes on the side of your screen. The extra thing is make sure the battery life is enough for you. To me it’s still too low. I wish having a tablet I could bring all day without charging. Note that the charger seams not too big, still pretty ok to carry. If you need portability, I may consider the 13″ though. that really help a lot! im wondering where i can try it in Singapore~its hard to find. And i wanna the 16″ because i can ues it all the time i think? if the DTHW1620H doesnt work out , maybe i will wait,just uesing my wacom intuos. 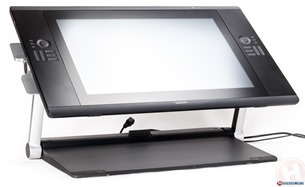 the Cintiq 22HD seems too big for me? how u feel about it as uesing for sometime? Yeah, it’s super tough to find places where you can try Wacom tablet in Singapore. I used to go tu Funan before. This is where I bought my 22HD. As you might know, Funan is not like before anymore. To me the 22HD is very big.I use it with an Ergotron arm. Actually I am even considering selling it to get the Mobile Studio Pro 16″ instead. I am going to buy the 22D or 22D Touch for my daughter and was thinking the latter. The review on the touch are not great though- screen issues, etc. Any feedback on which way to go? Thank you! I never heard about issue with the screen because of the Touch. It’s to me just a question of being used to it, and I have been personally trained using Photoshop or other softwares with the left hand on the keyboard to get all the shortcuts I need. I just bought my very first graphics tablet. It’s a second hand 21UX (2nd gen). It bigger than I thought! I really didn’t sketch much on A3, so it looks so big. But actually it feels natural, and having all that extra space on the tablet is great. I’m just learning my way around Sketchbook Pro. I just focusing a lot more on my sketching skills, and hope that developing sketching skills on paper and tablet will make me a more valuable industrial designer. How are you going along with yours after 2 years? 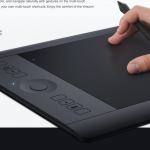 I believe you made a great choice for your Wacom graphic tablet as the 21 is to me a better size than the 22 which is a even bigger.